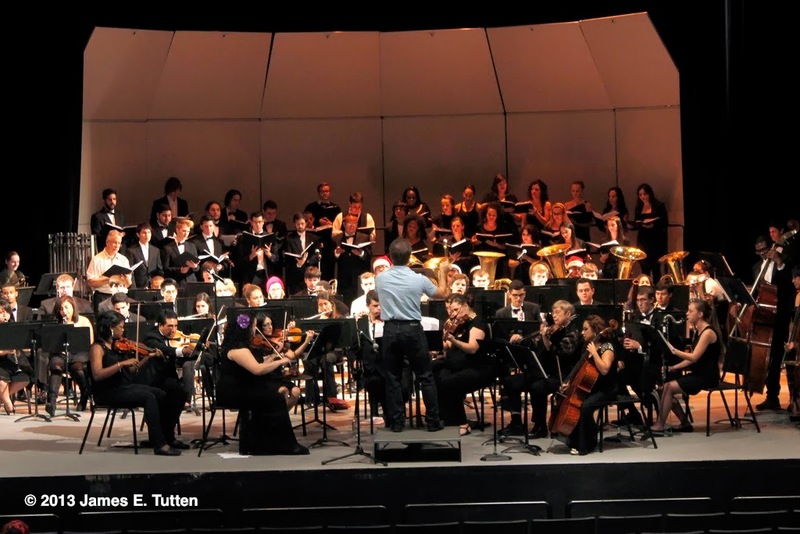 ORLANDO — Jon Territo has ended his first full-time year as director of bands at Valencia College with a first time collaboration of all Valencia College music performance groups at the annual Holiday Celebration Concert. This concert featured Valencia’s Contemporary Ensemble, Valencia Orchestra, Symphonic Band, Valencia Singers, and Valencia Woodwind Quintet. 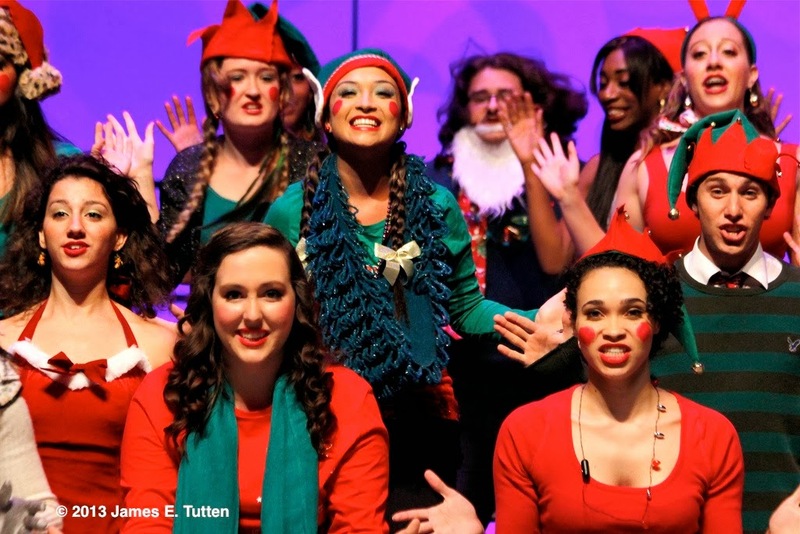 These groups performed holiday music from the classic to modern style, which calumniated into a grand arrangement that embodied the entire music program at Valencia College. Performers from the Valencia Festival Orchestra took the stage next to play classical music arrangements including “Christmas Celebration” and the Old English song “Wexford Carol.” A warm sound flowed from the diverse orchestra featuring more than 10 violinists, several brass and horns, and other woodwind and percussion players. The orchestra stayed in position after their songs as 40 vocal performers from the Valencia Singers entered the sides of the Performing Arts Center. Their opening song featured procession from “A Ceremony of Carols” that created a haunting ambience of sound as they worked their way to the stage. The Valencia Singers continued with the melancholy composition of “Hodie” that roared with a large sound that surpassed even the group of musician that presided them. The evening of music reached its pinnacle of sound after the Valencia Singers finished their set. It was then that all the members on stage performed together as a dramatic showcase that embodied everything the spirit of the evening intended. Songs like “The First Nowell,” “Carol of the Kings,” and “Joy To The World” came to life with dramatic crescendos and rich tone that filled the auditorium. 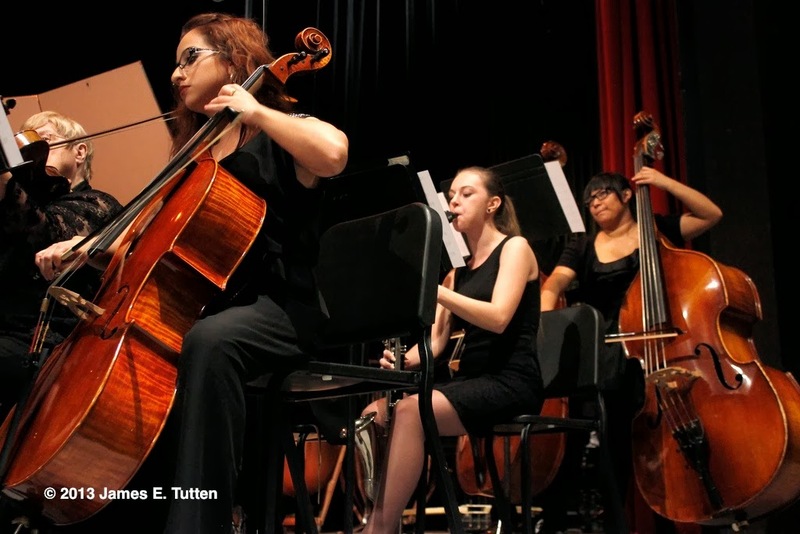 This concert signified the end of the year and culmination of a semester for music students at Valencia College. The hope now by Valencia’s music directors is the continued progression of their music students and a program with more grand events like this to come.